The current lead time for this machine is 2 weeks. 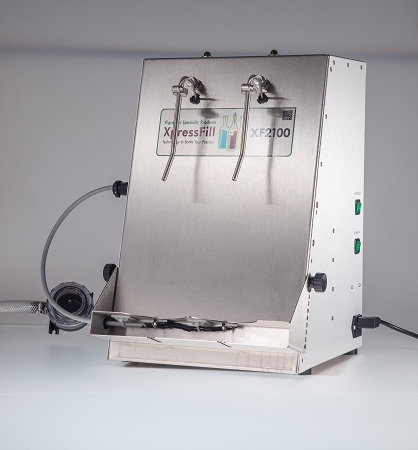 The XF2100 is perfect for the Artisan who has outgrown a single bottle system due to increased production demands. The Level Fill fillers were specifically designed to fill bottles to exact levels in the bottle. 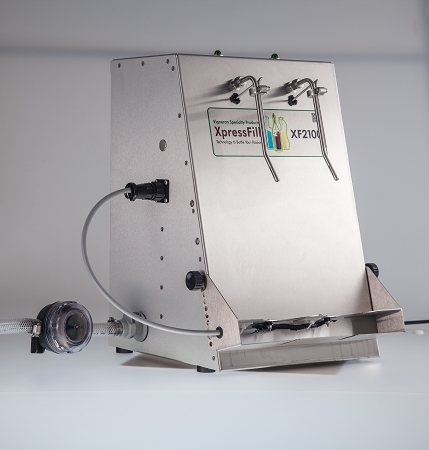 With the added flexibility of being able to increase or decrease flow rate, add options such as inert gas sparge and / or a transfer kit, allows the user to customize their filler to their specific needs. Simple to use, made with high quality food grade and stainless steel components, easy to clean. We upgraded to the 2 bottle filler and were very pleased with this machine. We have since purchased a second 2 bottle filler machine and our bottling production is over 500 bottles an hour, which is ideal for our small operation. 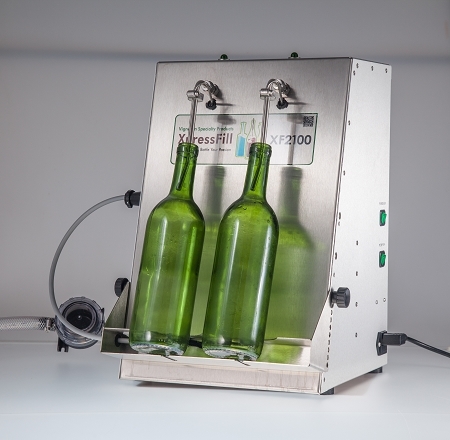 This being a closed system, no wine is exposed to air if the bottles are also purged with argon. Customer support and service are top notch. Copyright XpressFill. All Rights Reserved. eCommerce Software by 3dcart.